and forces the service to start and install the updates. 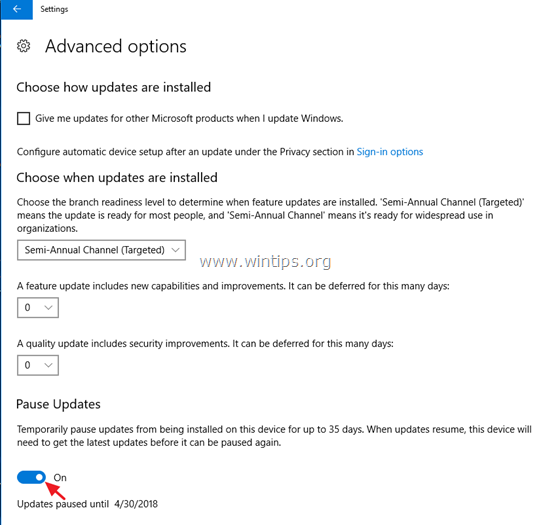 To avoid security risks and Windows problems it is not recommended to disable the Windows 10 update, but in some cases there is the need to do that, especially if you have problems during installing an update to your system or if you face stability issues or other problems after installing an update. How to STOP Windows 10 Automatic Updates. Part 1. 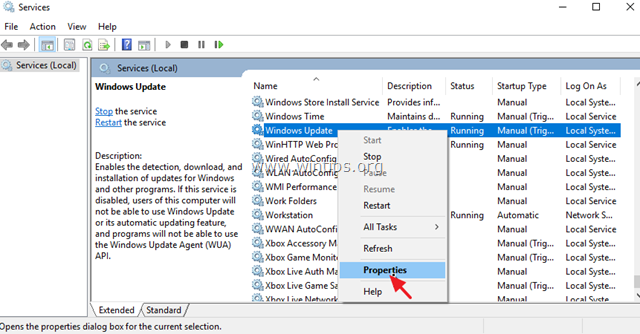 How to Disable Updates in Windows 10 (All Versions). Part 2. 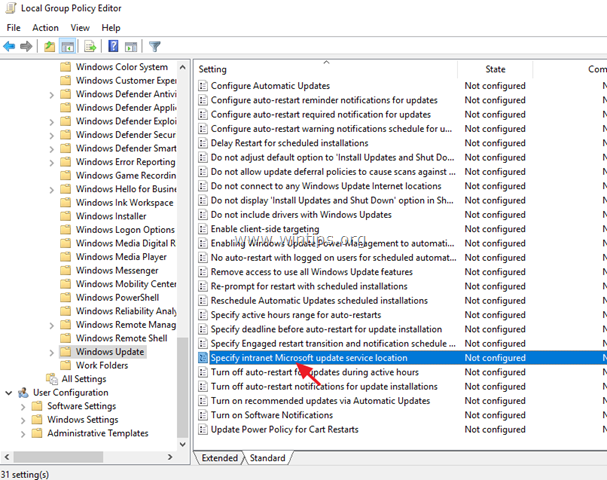 How to Stop Updates using Group Policy Editor in Windows 10 Pro, Enterprise, Education version(s). Part 3. How to Temporarily Pause Updates in Windows 10 Pro, Enterprise or Education version(s). Part 1. 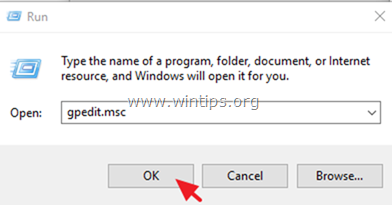 How to Permanently Disable Updates in Windows 10 (All Versions). To permanently prevent Windows 10 to install updates, use one of the following methods. Method 1. Rename the Windows Update Service file. Method 2. Disable all Windows Update Services & Tasks. Method 3. Block Updates by using a program. 1. Open Windows Explorer and go to "C:\Windows\System32\". 2. 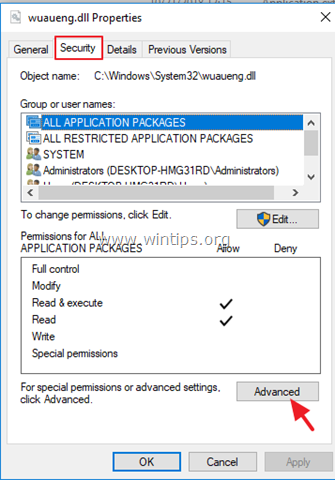 Locate the wuaueng.dll file, right click on it and choose Properties. 3. Select the Security tab and then click Advanced. 6. 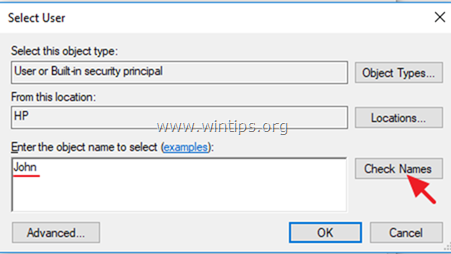 Then, click Apply and OK at 'Windows Security' information message. 7. Now, click OK two (2) to close the Properties window. 8. 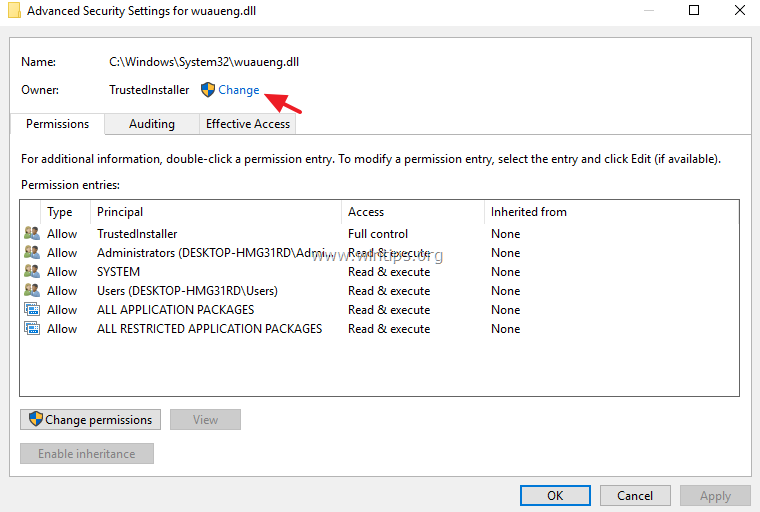 Then re-re-open the properties of the wuaueng.dll file and go again to Security tab > Advanced. 9. 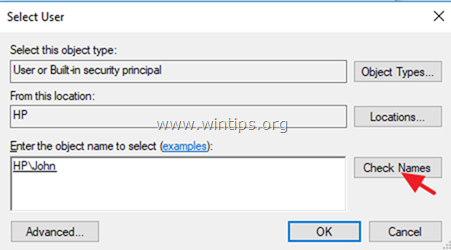 Select the Administrators entry and click Edit. 10. Check the Full Control checkbox and click OK twice. 11. 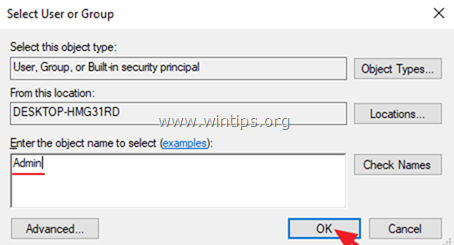 Click Yes as 'Windows Security' warning and then click OK.
13. Click Continue at 'File Access Denied' message and then click Yes. * Note: To re-enable updates, just delete the ".BAK" extension from the "wuaueng.dll.BAK" file. Method 2. Disable all Windows Update Services and Tasks. Step 1. 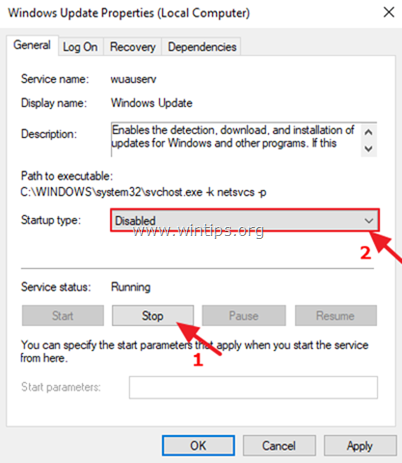 Disable the Windows Update Service. 3. 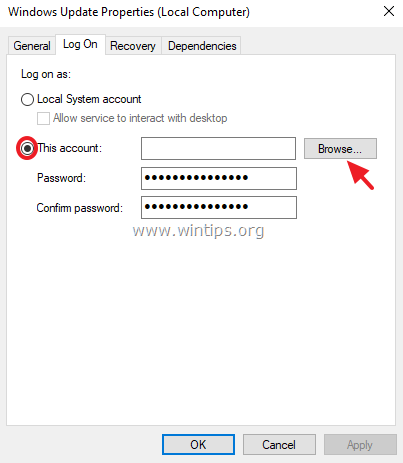 Right click on Windows Update service and select Properties. 1. Press Stop to stop the Windows Update Service. 2. Set the Startup type to Disabled. 5. Then select the Log On tab. 6. Select This Account and then click Browse. 7. Type your account name and then click Check Names. 9. Now type a wrong password (twice), and click Apply. 10. 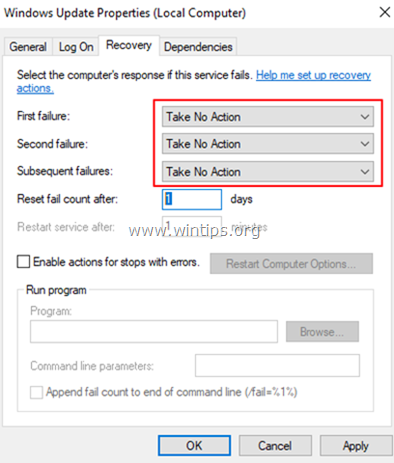 Then select the Recovery tab and set the computer's response if the service fails to Take No Action. Then, click OK to close the Windows Update Properties. 12. Proceed to step-2 below. Step 2. 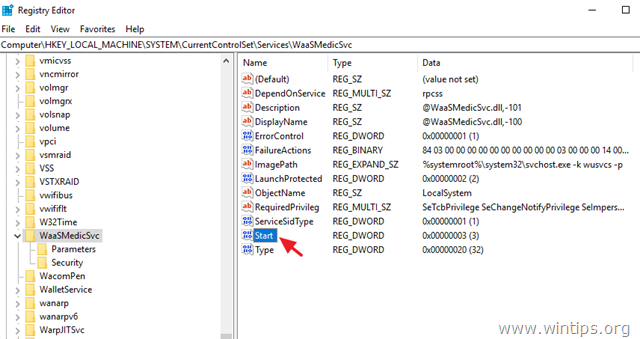 Disable the Windows Update Medic & the Update Orchestrator Services through Registry. 5. 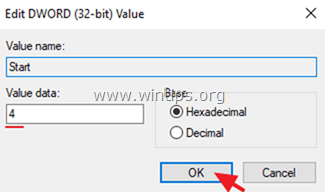 Set the value data (from "3") to 4 and click OK.
8. Type 4 at Value data box and click OK.
9. From now on, you will receive the following error message whenever you try to download or install updates: "There were some problems installing updates,but we'll try again later. (0x80070437) or, you'll see a blank window (without any options) when going to Settings > Update & Security > Windows Update. 10. Proceed to step-3 below. Step 3. Disable Windows Update Tasks. 1. Open Task Scheduler. To do that open Cortana search and type task. 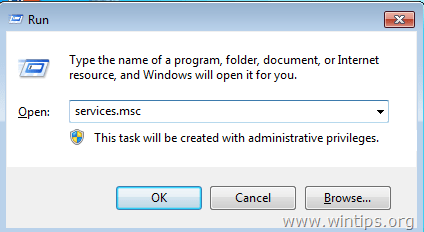 Then click to open Task Scheduler. Task Scheduler Library -> Microsoft -> Windows -> Windows Update. 3. 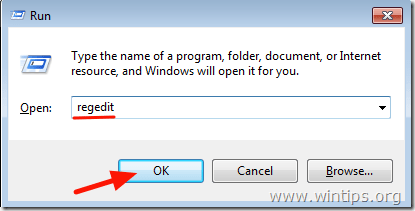 Right click at Scheduled Start and click Disable. 4. Then right click at sih and click Disable again. * Note: If you change your decision and you want to install the available Windows updates in the future, then just undo the above changes and then reboot your computer. Method 3. 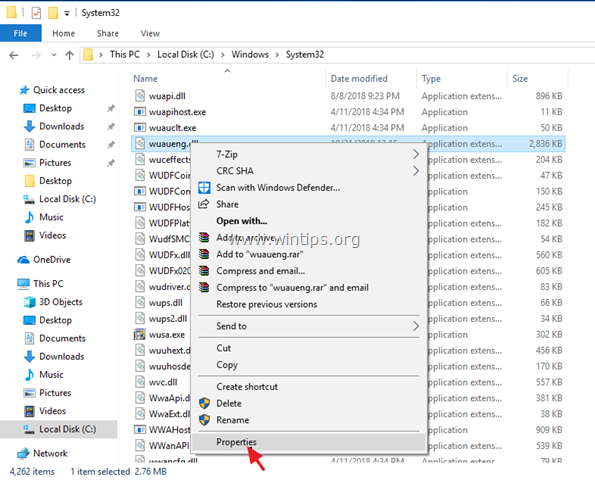 Block Updates in Windows 10 by using a program. The easiest way to block Windows 10 updates, is to use one the following third-party programs. Part 2. How to Stop Updates in Windows 10 Pro, Enterprise or Education version(s). 2. Type gpedit.msc & Press Enter. 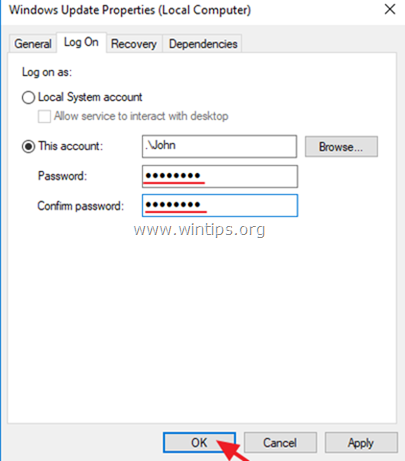 Computer Configuration\Administrative Templates\Windows Components\ Windows Update. 5. At the right pane, open the Specify Intranet Microsoft update service location policy. 6. 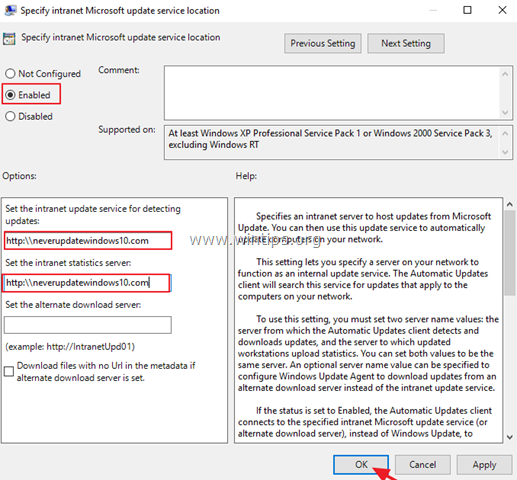 Click Enabled and then type "http:\\neverupdatewindows10.com" at the 2 fields below ("intranet update service address" & "intranet statistics server") and click OK.
* Note: To re-enable updates, just set the "Specify Intranet Microsoft update service location' policy to "Not Configured" . Part 3. How to Temporarily Pause Updates in Windows 10 Professional, Enterprise or Education version(s). 1. 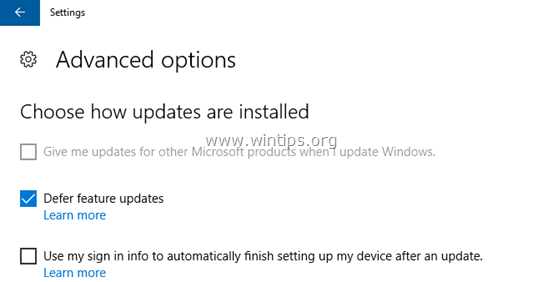 Go to Settings -> Update & Security -> Windows Update -> Advanced options –> and set the Pause Updates* option to ON. * Note: This option is only available in Windows 10 Version 1709 and later. In previous Windows 10 versions, check the "Defer feature Updates" (or "Defer Upgrades") option to prevent Windows 10 to download and install new updates. Let me know if this guide has helped you by leaving your comment about your experience. Please like and share this guide to help others..
After a week all updates will be back up 'n running ! To Stop Windows 10 updates is NOT an option anymore in 2019 ! Doesn't work unfortunately. Win10 1803 Buld 17134.532. Just a few days after I did everything step by step I just heard the the CPU fan making a lot of noise for no reason. 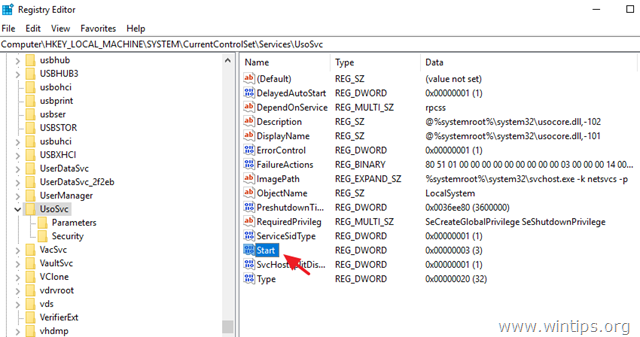 Opened task manager and saw Windows Modules Install Worker eating CPU along with the orchestrator and update services. Looks like something is missing in this guide for that version of Win10. I am starting to really hate this OS. Does anyone have any idea what might be missing in this guide? I got to say you have ended my nightmare that have to go to windows service and stop the update manually everytime i restart my pc. Thank you sir, its REALLY brilliant. I added one step to the directions in "Part 2. 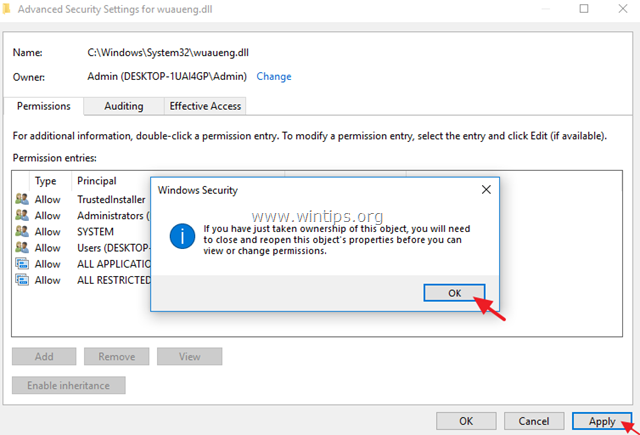 How to Stop Updates in Windows 10 Pro, Enterprise or Education version(s)." I enabled "Do not connect to any Windows Update Internet Locations" because in the description it says "Even when Windows Update is configured to receive updates from an intranet update service, it will periodically retrieve information from the public Windows Update service…". So far, 24 hours later, no updates, which in my case were causing a complete system freeze. Prior to this fix, I had let it run for 24 hours but it still froze. This seems to be the solution. Thanks for the post! Not sure if it needs to be disabled too. Great trick about a bad userid/password for the WU service! For task scheduling, consider the free and portable Task Scheduler View from Nirsoft.net. Much better interface. You might find some of those methods useful to add to your site, as well! Thank you so much, I'm on pay as you go and Windows 10 was the bane of my life, not anymore. 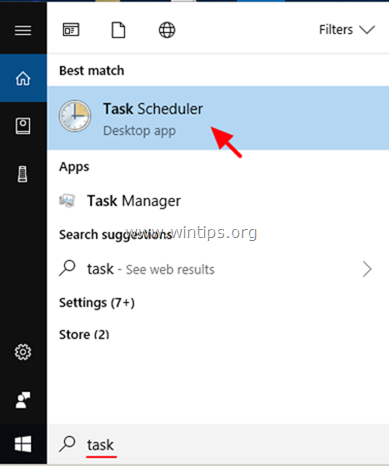 I followed the instructions until I got to Task Scheduler and there were no more tasks to disable. I followed the steps on the article and no more updates for me. Great work sir, very well done!